MYRTLE Horne's daughter Joyce Fox attributes her mother's longevity to the clean Mary Valley air. Surrounded by close to 80 family members, Myrtle celebrated her 100th birthday last weekend, proving that her daughter's theory may be correct. Born in Brisbane, Mrs Horne and her family moved to Lynchs Creek in New South Wales. When she was 22 years old, she moved back to the Sunshine State, marrying John and settling on a Kandanga dairy property in 1939. Mrs Fox describes her mother as "country through and through". Mrs Horne and her late husband raised eight children on that Mary Valley farm, which at times could be a little chaotic, according to Mrs Fox. "It was hectic, but it wasn't too bad," Mrs Fox said. "It was all we knew really. "It was how we were and it was how lived. 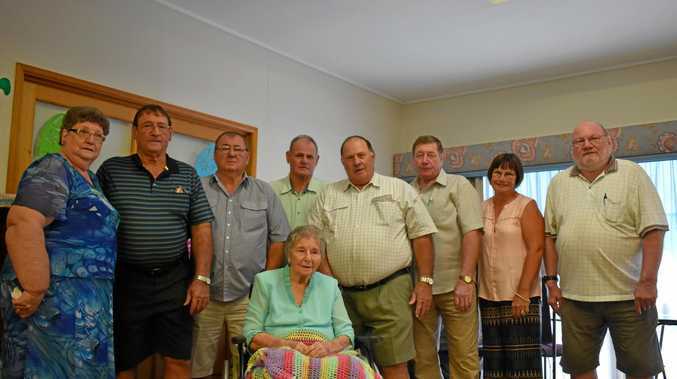 Now living at Cooinda Aged Care Centre in Gympie, Mrs Horne is still surrounded by family both immediate and extended and was joined by many of them last weekend. Relatives from all over Australia made the trip to celebrate the momentous occasion. "Mum had a really good day," Mrs Fox said. "She could remember 99% of the people that were there. "There was still a lot of extended family that could not come." 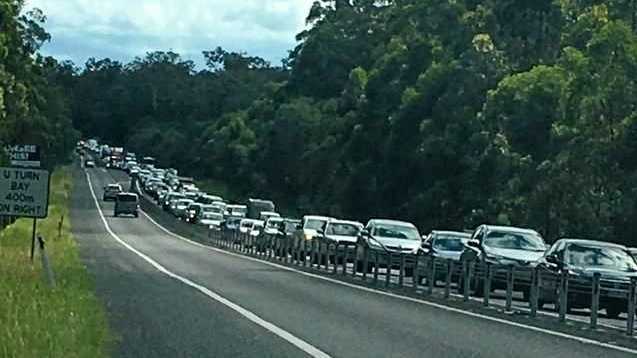 News HOLIDAY traffic is causing significant delays on the Pacific Highway today.